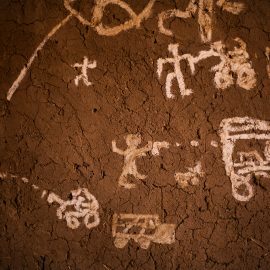 In our latests Sudan Insider, we provide news and analysis on the last areas of conflict in the Nuba Mountains, updates on this week’s peace talks in Addis Ababa, Saudi Arabia’s relatively new relationship with Sudan, and how the crisis in South Sudan affects the Nuba Mountains in neighboring Sudan. To receive these in your inbox, subscribe to the monthly update. Despite President Omar al-Bashir’s ceasefire declaration on June 18 and the onset of the rainy season, military activity in the Nuba Mountains is higher than Nuba Reports has seen it over the previous two rainy seasons. 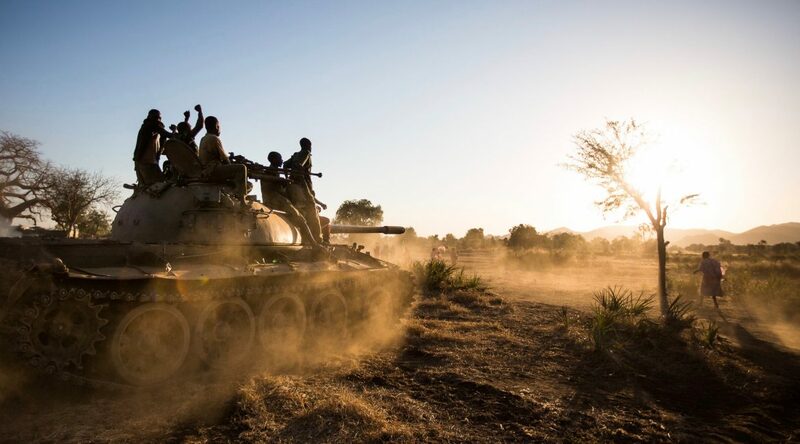 Ceasefire breaches have occurred, and the Sudan Armed Forces (SAF) have maintained a presence in crucial farming areas within the rebel-controlled areas, amid a ceasefire and the rainy season. 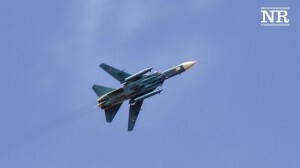 On August 7, the same day representatives were arriving in Addis Ababa for peace talks between the government and the opposition, two sets of Sukhoi jets buzzed over Kauda at low altitude – the first two at 9:50 am and the second at 12:50 am. People fled from their farms, even church service, to seek cover. On July 11 and 14, militias aligned with SAF attacked a farming area in Lima, South Kordofan State, killing one woman, Fatima Ibrahim, according to eyewitnesses. Three days later, the same SAF-aligned militia along with SAF soldiers attacked the Lima area again but were repelled by SPLA-N forces. Fighting also broke out between the rebels and SAF forces on August 1 in the Um Serdiba area of South Kordofan, for unclear reasons. 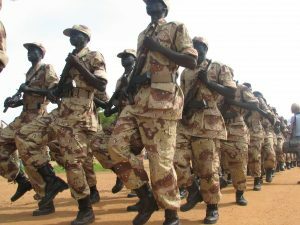 Some sources say SAF troops mistakenly thought a group of rebel soldiers were preparing to attack them and proceeded to shell the SPLA-N forces. Government soldiers are still based in the agriculturally fertile areas of Al Azarak in Heiban County, Mardes in Delami County and parts of Karkaria in Um Dorein County. Normally government forces retreat before the rainy season commences in June or July, when transit routes become impassable due to the muddied roads. It appears these forces will remain in the area throughout the year, blocking crucial harvests that supply the population from all three counties. The July 11 and 14 attacks by SAF and an aligned militia under the Messiria tribe was largely in retribution for a personal dispute between the militia members and an SPLA-N soldier accused of killing eight Messiria tribesmen over a cattle ownership dispute, according to an local NGO worker who visited the area. According to local sources, the government has repeatedly attempted to arm and recruit Messiria to fight against the Nuba rebels. But many Messiria are refusing to join the government forces after Messiria and Nuba elders have campaigned to uphold peace between the tribes. The July attacks also targeted the crucial Lima market, a SAF strategy used throughout the five-year civil war. One of the largest markets, SAF has attacked the trading area three times this year, severely curbing the population’s access to goods. Similarly in March, SAF attacked Tess in Buram County, home to another large market. The market services three counties and even Yida refugee camp in neighboring South Sudan. The ongoing SAF occupation of parts of Karkaria, Mardes and Al Azarak has led to mass displacement and curbed crucial farming for the region. Roughly 90% of former residents of Karkaria and neighbouring villages are now displaced, including Um Dullu village, home to one of the bigger markets in Um Dorein County, according to interviews with local chiefs. Similarly, near-total displacement from Mardes has taken place ensuring a severe grain deficit for Delami County. The area was also home to a key market that sold food and household goods to Delami and Heiban counties. The unprecedented SAF attack and now occupation of the fertile Al Azarak region will deny the Heiban County population key harvests that may lead to cases of starvation next year. 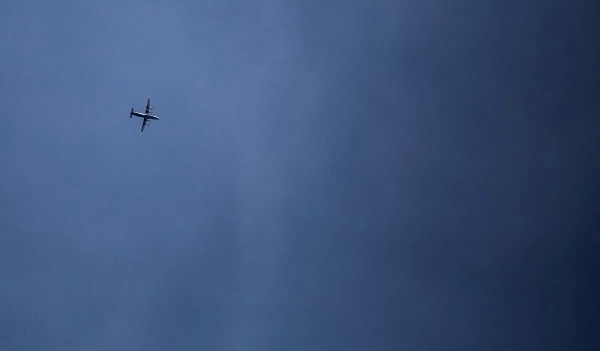 An extensive aerial bombing campaign around Al Azarak has also blocked farmers from planting outside the SAF-controlled area. The destruction and occupation of farmlands and markets during the conflict along with poor harvests has created a hunger gap this year in the Nuba Mountains that could lead to starvation the next. Peace in Nuba: One step closer? Peace talks between the Sudan government and opposition umbrella group, Sudan Call, have shown signs of life after gridlock. On August 8, the Sudan Call signed the AU-brokered roadmap agreement for peace after previously rejecting the document. On March 19, the opposition under the Sudan Call umbrella group refused to sign the Roadmap Peace Agreement during talks in Addis Ababa, Ethiopia. The agreement, signed only by the AU Chief Negotiator Thabo Mbeki and the Sudan government, excluded key opposition groups and would operate through a dialogue process the opposition alleges is government-controlled. While authorities previously refused any supplementary amendments, Mbeki assured the opposition in July that the peace talks would allow time for further negotiations regarding the roadmap agreement, including some confidence-building measures the Sudan Call requested. Some of the confidence-building demands made previously include: more clarity on the leadership and duration of the dialogue process, the release of all political prisoners and detainees, and to uphold both political and press freedoms. It is not clear, however, whether Khartoum will accept any additions or supplements to the roadmap agreement. While 11 past peace talks have collapsed there is still hope this agreement may be different. This is crucial for the two sides to finally agree on humanitarian access avenues to the war-affected areas under SPLM-N control in both South Kordofan and Blue Nile states. Sudan has received widespread support on the talks from the international community, with the AU, Spain, and the Troika (U.S., U.K. and Norway) pressuring the opposition to sign the roadmap agreement. Boosted by this foreign support, Sudanese officials, including the First Vice-President Bakri Hassan and the Foreign Ministry’s Under-Secretary Abdel-Ghani al-Naem, have made statements that suggest the government may not allow any further negotiations requested by the opposition to take place. 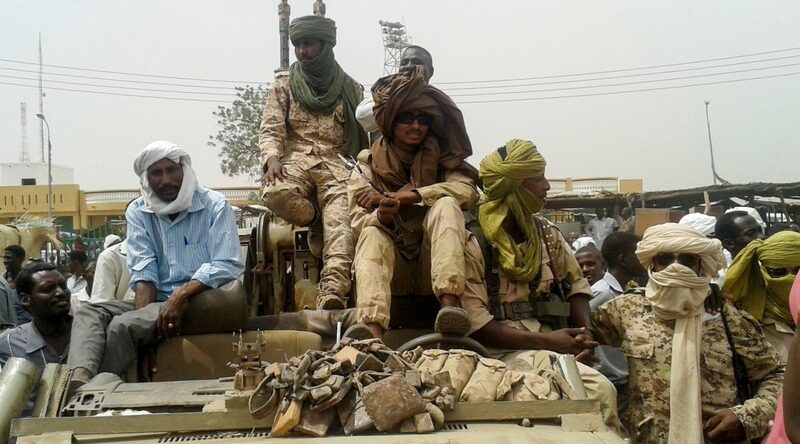 Europe’s recent domestic interests to curb migration and the United States’ more longstanding anti-terrorism operations have led to an unprecedented level of foreign support toward Sudan. A signed peace agreement will further legitimize Khartoum vis-à-vis the international community, regardless of the agreement’s legitimacy and the president’s International Criminal Court warrant of arrest. The agreement by the majority of Sudan Call members to participate in upcoming talks concerning the Roadmap Agreement has fostered further divisions within the already loose alliance, including the Communist Party who holds reservations to signing the roadmap agreement. A weakened Sudan Call movement may be susceptible to a foreign-backed Sudan government during the upcoming negotiations. The negotiating parties have routinely politicized the crucial issue of humanitarian access to the war-affected areas since the conflict began in 2011. In August 2012, for instance, Sudan and South Sudan signed separate memoranda with the African Union, the League of Arab States and the United Nations – known as the tripartite agreement – to allow aid into the Nuba Mountains and Blue Nile State. The agreement established a roadmap for delivering humanitarian aid, but was never implemented. On July 18, Sudan’s National Assembly approved an agricultural bill allowing Saudi Arabia to reform and cultivate one million feddans (1 feddan = 1.038 acres) of land in the Upper Atbara and Setit Dam complex in eastern Sudan. The project, which would see the cultivation of grain and vegetables, is set to commence later this year and last for 99 years. According to the bill, Sudan would provide the arable land and Saudi Arabia would in turn invest $10 billion in the project’s first ten years, to construct the necessary infrastructure. It is debateable how much Sudan will directly benefit from the deal. According to the Saudi online newspaper, Al-Wiaam, 88 percent of food production would go to Saudi Arabia. Sudan, on the other hand, would only receive 12 percent in return for the use of land, electricity, water and other resources. The Kingdom would also cultivate the land according to its own priorities, without taking into consideration the needs of the Sudanese people in terms of labor and employment. This bill is symptomatic of a new, amiable relationship between Sudan and Saudi Arabia. Previously Sudan maintained a closer relationship with Saudi Arabia’s rival, Iran. Desperate for revenue, Sudan shifted allegiances, especially after the oil-rich South Sudan’s 2011 secession. Earlier this year, Sudan announced severing ties with Tehran after the execution of a Saudi Shia cleric, Nimr al-Nimr. Sudan also joined the coalition in Yemen against the Iranian-allied Houthi rebels by participating with over 850 troops in the Saudi-led “Decisive Storm” operation against the rebels. In return, several sources have attested that the Kingdom granted at least $5 billion in military assistance to Sudan earlier this year. Since Sudan’s rapprochement with Saudi Arabia, Sudanese officials have been confident of Saudi investment, expecting that this would rise from $11 billion in 2015 to $15 billion this year. Additionally, Khartoum might also be placing hope on Riyadh’s influence in lobbying Washington to remove ongoing U.S. economic sanctions. This newfound revenue has assisted Sudan’s war efforts in the Nuba Mountains, where local sources have told Nuba Reports that pro-government militias are now better equipped. President al-Bashir’s political opposition virulently opposes the Sudan-Saudi land deal, accusing the regime of the Gulf-Arab, neo-colonial “land grabs” occurring throughout Africa. Saudi officials have pursued deals in other African countries, including Senegal and Mali, that would allow them control over thousands of hectares’ worth of productive farmlands. The Saudi al-Armoudi company, for one, acquired 10,000 hectares in southwestern Ethiopia, for the purpose of exporting rice. The agreements stipulated in the Sudan-Saudi Arabia agricultural bill highlight the rapid pace of land acquisition taking place in Sudan. The country’s government is fast-tracking foreign investment in agriculture, depicting such investments as beneficial for the country and people. But the lack of transparency, equal terms and respect afforded to Sudanese farmers’ rights are common themes emerging from such land deals. As Sudan’s most fertile lands are being allocated to foreign investors for exports, grassroots-level farmers are being dispossessed and the country is unable to feed itself. Land grabbing and food insecurity within Sudan have fuelled citizens to rebel against the state. As Dr. Juma Kunda Kome of the University of Bahri has argued, one of the root causes of conflict between local people and the Sudanese government has been the struggle over land. This has been the case with land grabbing throughout Darfur, Blue Nile and South Kordofan in the past. Moreover eastern Sudan, where the lands for Saudi cultivation are situated, has been no stranger to violence against the government. The Eastern Front rebels, formed out of a coalition of rebel groups from two ethnically based rebel groups, Beja Congress and the Rashaida Free Lions, waged a struggle against the government in the past. If the Saudi agricultural initiative displaces residents, the east could see a return to armed struggle. Five days of violence in the capital, Juba, erupted on July 7 after forces loyal to the former Vice-President Riek Machar killed five government soldiers at a security checkpoint in the Gudele suburb. Both sides have traded accusations as to why deadly violence rocked the capital, killing over 200 soldiers and over 70 civilians according to U.N. reports. U.N. Human Rights Chief Zeid Ra’ad al Hussein said at least 217 cases of sexual violence occurred within 17 days with SPLA representing the main perpetrators. The Sudan People’s Liberation Army (SPLA) in South Sudan is a separate entity than the Sudan People’s Liberation Army-North (SPLA-N) in South Kordofan and Blue Nile, which fights for greater autonomy and rights within Sudan. Machar is now in hiding in the outskirts of Juba and under attack by forces loyal to President Salva Kiir. The former SPLM deputy refuses to return to the capital until a third force is allowed access to uphold peace, Machar’s spokesman James Gatdet said. In his absence, Kiir has appointed a long-term ally, former mining minister Taban Deng, as the Vice President. The SPLM-IO has called the move illegal, saying Deng was dismissed from their movement a day before his appointment. Khartoum has also denounced the appointment. While few issues are lucid, the August 2015 peace agreement has clearly collapsed. The opposing forces were never de-militarized before merging in Juba as the agreement stipulates. 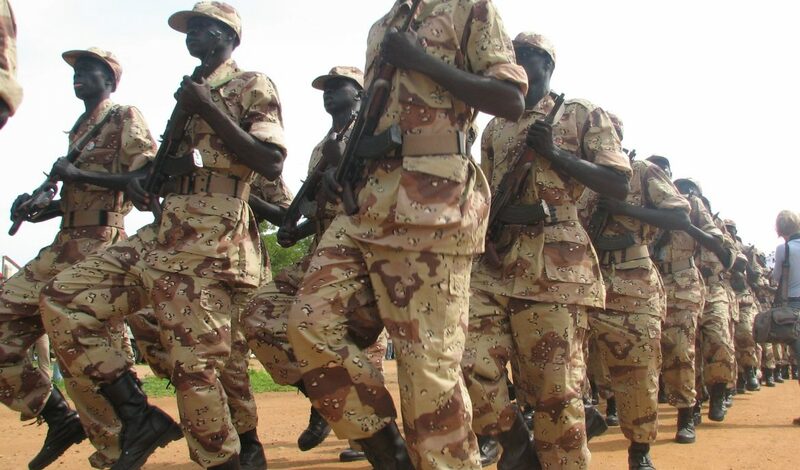 SPLA Military Spokesman Lul Ruai Koang has hinted at the fact they have returned to war and outbursts of violence have taken place across the country, including in Torit, Mundri, Lainya, Bentiu, among others. Roughly 60,000 people have fled the recent violence to neighboring countries despite some attempts to block their exit to Uganda. An estimated 52,000 South Sudanese refugees are now in Uganda, 1,000 in Kenya and 7,000 in Sudan, the UN relief agency reported. The number, however, is likely much higher since this equates only documented cases. The ongoing conflict since December 2013, including the collapse of the petroleum sector that provided 98 percent of South Sudan’s annual revenue, has led to a collapsed economy with inflation close to 300 percent, the highest level in the world, and a 2016-17 deficit at nearly US$1.1 billion. South Sudan’s faltering economy has a severe detrimental effect to neighboring South Kordofan and Blue Nile states in Sudan. Both areas rely on the South Sudan pound for trade, but with drastic currency fluctuations and a 90 percent drop in value since independence, cross border trade between Sudan and South Sudan are limited. Instead, traders are relying on black markets within Sudan. SAF has repeatedly targeted markets and trading areas in and near the rebel-controlled areas during the conflict. Even where trading areas exist, traders must convert currencies from purchases in Sudanese pounds to selling with South Sudan pounds, sometimes operating at a loss. With limited trade and supplies and a high demand, prices in the SPLM-N controlled areas have skyrocketed, with basic staple grains costing more than double last year’s prices. The South Sudan crisis has limited access to market goods in the two areas: South Kordofan and Blue Nile states. This, coupled with poor harvests and deliberate government targeting of farms in the SPLM-N controlled areas, has led to food insecurity for both regions that is expected to deteriorate further by next year. Skyrocketing prices in Yabus, Shali and Wadaka in Blue Nile State, among other areas, has led to cases of starvation and malnutrition. The collapse of South Sudan’s peace agreement between Kiir and Machar also indicates the problems with peace negotiations signed without mutual buy-in.South Sudan’s August 2015 peace agreement was signed begrudgingly by both parties and predictably did not hold. Currently, Khartoum is pressuring the Sudan Call to sign the roadmap peace deal without further considerations presented by the opposition. If pressured to sign in such a climate, the possibility of sustainability is questionable.